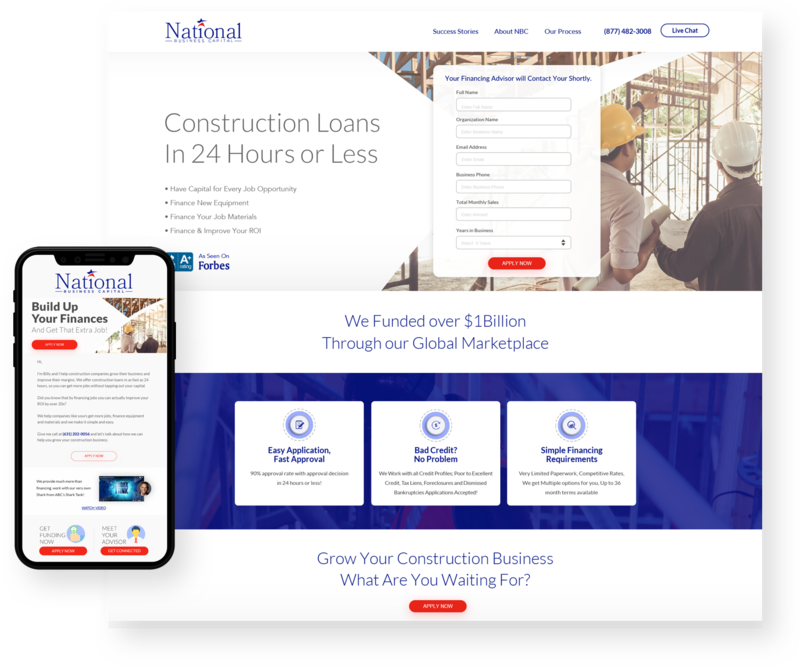 National Business Capital came to Linx in search of a new marketing strategy, including website design and development, to help grow their presence across the United states and to dominate the local area. After initial meetings, Linx discovered that National Business Capital's true point of differentiation from their competitors is their staff. 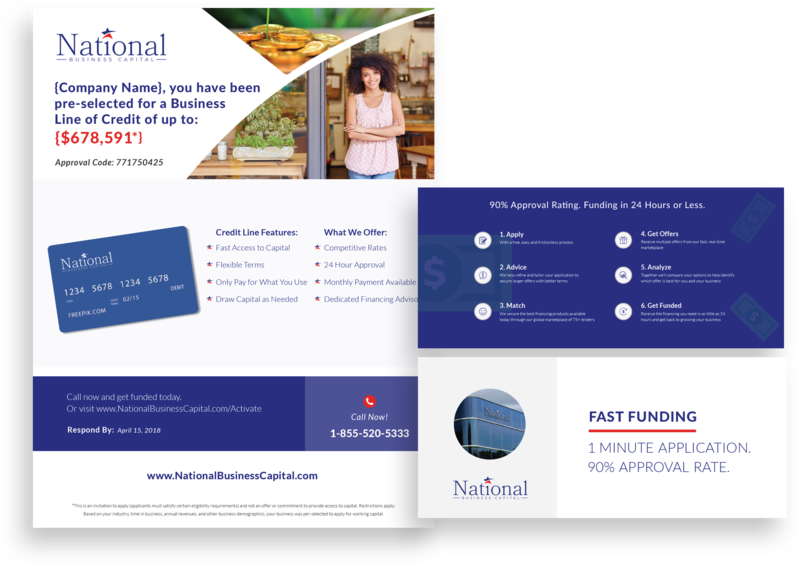 While other lending companies use automated online processes to interact with customers and provide loan options, National Business Capital offers human interaction through the form of a dedicated "Financing Advisor" for each client. So, Linx sought out to enhance this unique value throughout National Business Capital's website and outreach programs. Linx began with the website project, developing an entire back-end platform that displays the "Financing Advisors" and connects them to success stories of National Business Capital clients and the financing programs they used to grow their business. This allows for easy management and upkeep of the website for the company's internal marketing team. 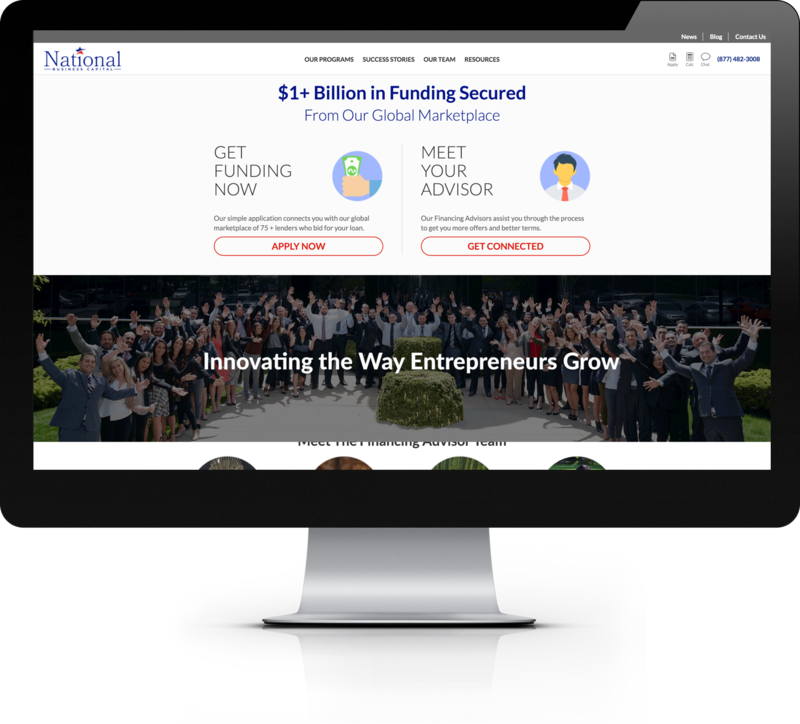 In fact, National Business Capital's internal executive and marketing team enjoyed working with Linx so much developing the website together, that we continue to support their ongoing marketing efforts as well as provide CMO2Go services to continue building their strategy and internal marketing capabilities. After our predictive modeling and data analysis, Linx was able to predict the type of businesses that were mostly to get funded. With that data, Linx created multiple digital Ad campaigns targeting that specific vertical industries including medical and construction. After our Analytix predictive modeling and data analysis, Linx was able to predict the type of businesses that were most likely to get funded. With that data, Linx created multiple digital ad campaigns targeting those specific vertical industries including medical and construction. Continuing our predictive modeling and data analysis, we soon discovered that with more targeted digital campaigns, National Business Capital could save hundreds of thousands in digital media spend.